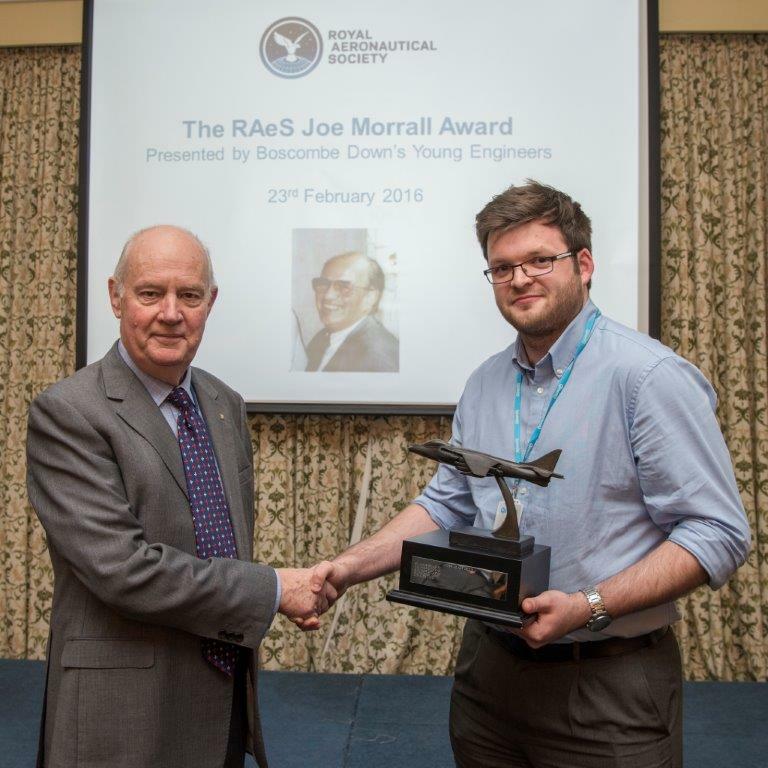 On the 23rd of February 2016, MOD Boscombe Down’s Young Engineers took part in the Royal Aeronautical Society Joe Morrall Award, a competition for anyone under the age of 30 to give a technical presentation on any Engineering subject. 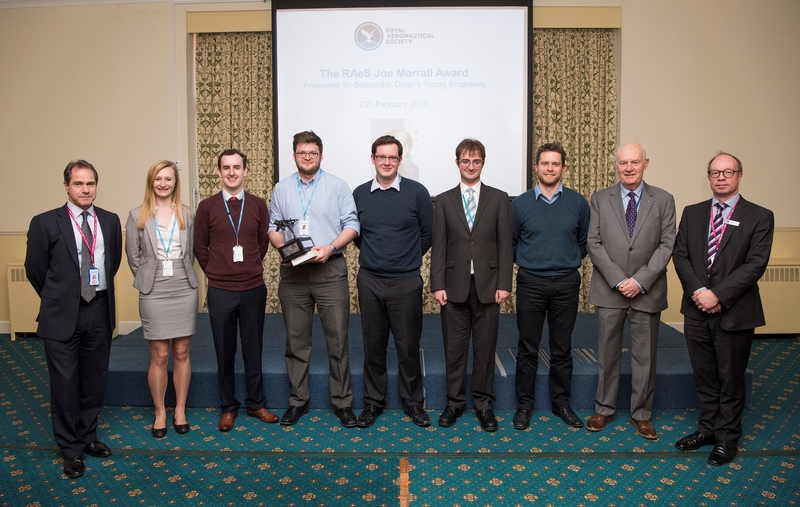 The award is named in memory of Joe Morrall, who enjoyed a long and distinguished career at MoD Boscombe Down. 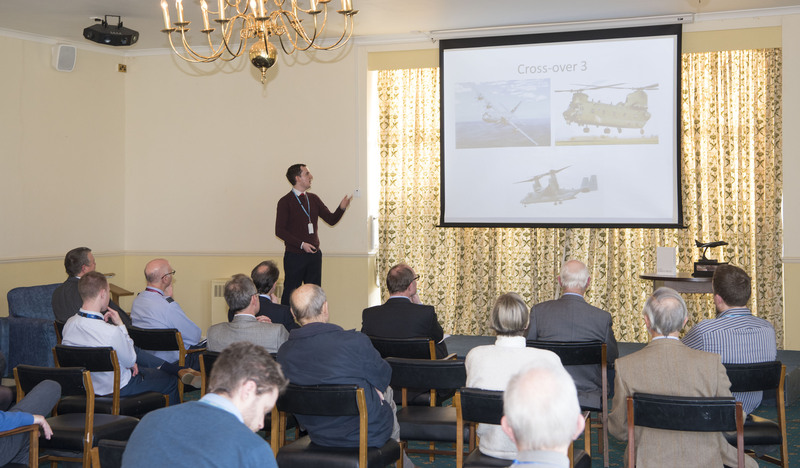 The twenty minute presentations were judged by senior members of the QinetiQ leadership team, Air Warfare Centre and the RAeS itself. Marks were awarded for technical content, standard of presentation (both spoken and visual) and general time keeping, as well as a discussion with questions at the end. Taking place in the lower ante room of the Officers’ Mess, the personal commitment to the competition was evident as each entrant gave their presentation to an impressive standard. The audience of judges, QinetiQ employees and external members of the branch all listened with great interest and were keen to ask questions following each one. There could only be one winner however, and after a lengthy period of time while the judges tried to come to a difficult decision it was announced that Tim Clark, a Year in Industry Student, had won with his insightful presentation on Adaptive Muzzle Brakes – congratulations Tim! Tim received a Samsung Tablet from Doug Gale, Engineering Director, Air Division at QinetiQ before Roger Beazley, president of the Boscombe Down Branch of the RAeS, awarded Tim with the Joe Morrall trophy. Both Tim and Paul Johnston, who came in at a close second, will now be offered the opportunity to represent Boscombe Down in the international N E Rowe main Society award held in London. The Royal Aeronautical Society would like to thank the judges, supporters and most importantly the entrants, who can be proud of what they have achieved, for a very successful and enjoyable afternoon. We will be keen to continue this fantastic event next year and will be opening it out to entrants again in autumn 2016.